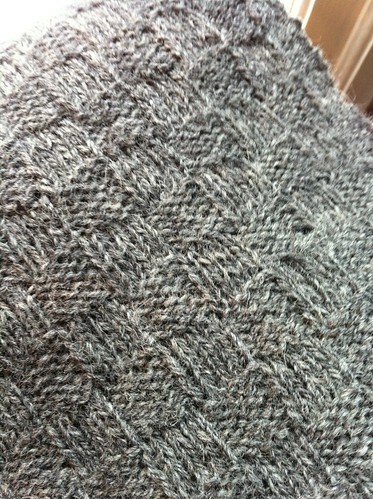 i can’t remember a time when i completely focused on one knitting project as i’ve done in the last month. well, i can remember, it was when i first started knitting in 2004. in the beginning i only bought yarn when i’d finished something and needed to start something new. i was also currently unemployed at the time and couldn’t afford to hoard. at one point i was out of pocket and out of yarn and one of my dear friends, myra, took pity on me and gave me some of her yarn. what an angel! 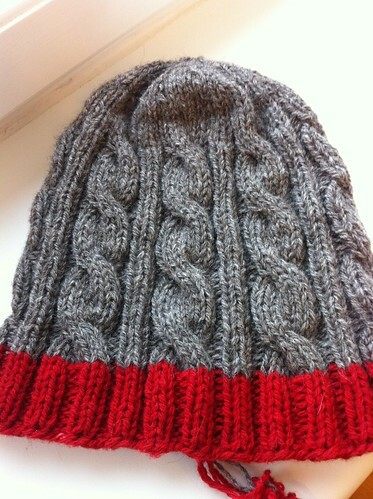 i used the yarn to knit a cabled hat that i gave to one of my nephews, hampus. well, hampus is seven years older now, and i still get to knit for him! and he is the reason that i’ve been so focused for quite some time now. first it was the hat, and now a pair of mittens. first mitten is almost finished, and i hope to finish the pair shortly. i’m in a bit of a hurry because i want him to be able to wear them before this winter is over. we’ve had almost spring-like weather here for a while, but now colder weather is approaching. the forecast states that it will start snowing here today, and it will remain cold for at least a few days. i’m hoping for real winter weather at least through february. 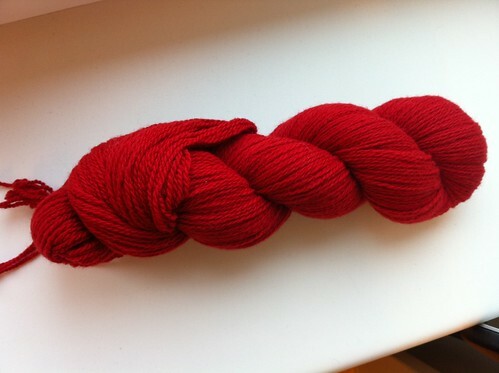 i’m using visjö from östergötlands ullspinneri, a wonderful wool yarn that is so soft and bouncy! 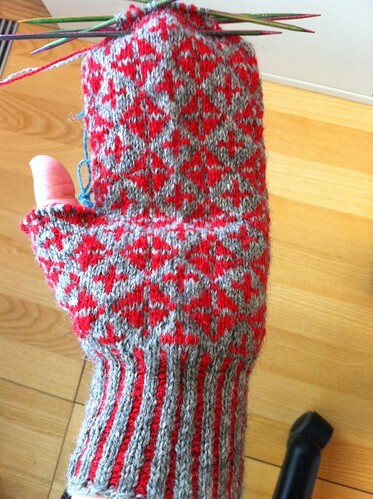 the grey is left over from my time team jumper, however i’m quite certain that i don’t have enough for the second mitten so i might have to pop by anntorps väv again to fill up. the cats normally wake me up at around 8 o’clock on saturday mornings. after feeding them, i usually have a few hours to myself during which i knit and watch a movie. fritz likes to lie next to me on the sofa. 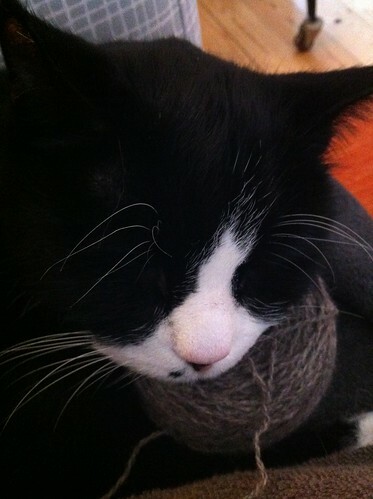 this morning he used my ball of yarn as a pillow. after breakfast, we went to an antiques shop and bought a new (well, old, but new to us) lamp for the living room. after that we went to a neighbourhood café and had some coffe and toasted sandwiches. i brought my knitting, of course. i’ve begun knitting for my nephews and i’m really excited about this! 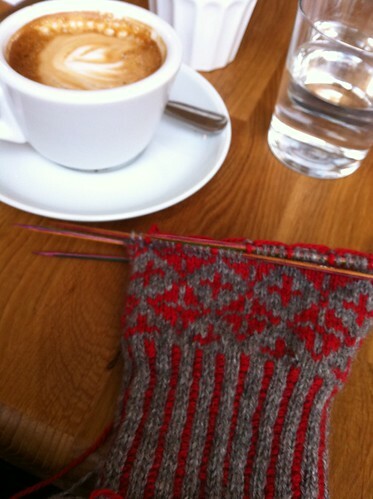 i’ve already finished a hat (bobble is still missing, but it will be completed shortly) and begun a pair of mittens. yesterday i realised that the mitten cuff was too narrow and had to rip it out, but i’ve started anew with larger needles. i went to anntorps väv during my lunch break to buy some red visjö. i also managed to take a photo of it at the same time. in daylight! well, that’s all i have for you right now. happy knitting!